Political Spin Removal: Palestine by Fiat? Late last week, the head Palestinian negotiator, Saeb Erekat, announced that Palestinians would ask the U.N. Security council to recognize a Palestinian state on 1967 borders. The chance of that happening is nil, since the U.S. would veto it. Nevertheless, is it such a bad idea to ask? It would force the U.S. into an awkward position, drawing world attention to its one-sided, pro-Israeli policy. That might dislodge some diplomatic energy that is lacking at the moment. What would happen if Palestinians were to unilaterally declare such a state? It would be interesting. Israel might acknowledge it, but would seal its borders and shut off the water. Trade and transportation would stop. There would be no effective communication between Gaza and the West Bank. 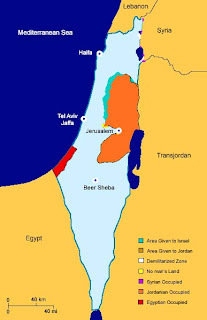 Since Hamas controls Gaza and is against such a declaration, in effect, you would have a Palestine on the West Bank only. 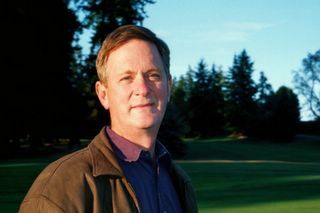 Israel would not give up its settlements without a fight, so the idea of 1967 borders would not be real on the ground. Still, there would be, in fact, a Palestinian state. The Arab world would recognize it and money, goods, and military support would flow in immediately. Palestine would no longer be dependent on Israel, but instead on Jordan, and other neighbors, until it could find its feet. 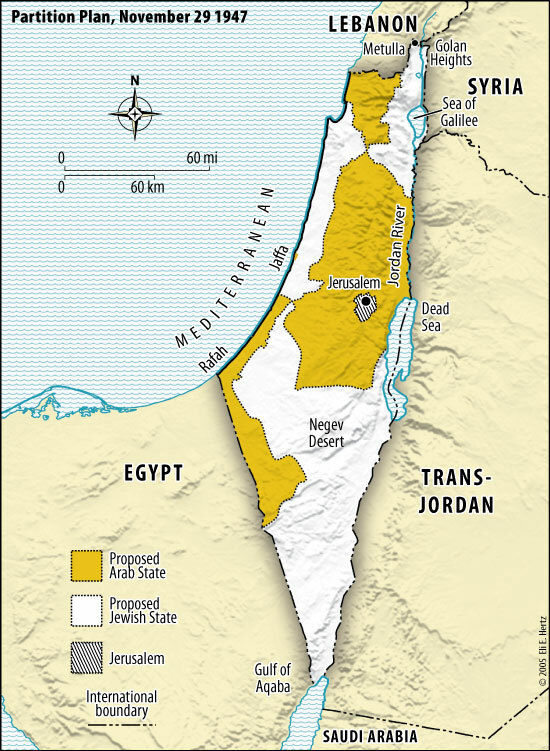 One can imagine that over time, the new Palestine would develop its own governance and economy and become a functioning state. It would solve the persistent “middle east crisis” by its defacto recognition of Israel. Israel would be hard pressed not to acknowledge the legitimacy of the new state (not necessarily with formal diplomatic recognition). Palestine declared independence once before, in 1988, and many countries recognized that declaration, but for practical reasons, nothing came of it. Is it worth trying again? On the down side, there is the problem of the illegal settlements. Essentially, there would be an unresolved border issue there. But if the Palestinians were to simply accept the border of The Wall that Israel has built, and give up on land already annexed, they would have stopped that erosion and staked firm borders. They would have to get past wet-eyed talk about historic homelands and all that, and just go for the certainty of statehood. Gaza would be left to itself. In the long run, it might declare itself the new state of Hamas, or be taken over by Egypt, or if Hamas were to fall, opt to be annexed to Palestine. None of those outcomes is so terrible. 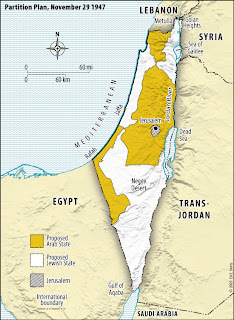 The new Palestine could join the U.N., the Arab League, and whatever other organizations it could. Any hostility between Israel and Palestine would be a matter for U.N. negotiation. Israel would remain secure with U.S. backing. Such an outcome would take much of the ideological wind out of extremists who excuse their militancy on grounds of supporting the struggle of the Palestinian people. That struggle would be over.